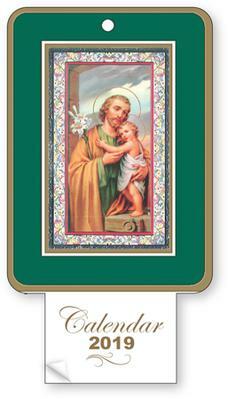 DIVINE CHRISTIAN GIFTS - Post Card Size St Joseph 2019 Calendar. Post Card Size St Joseph 2019 Calendar. 2019 Calendar - St Joseph with silver foil highlights.